Every chair needs a the right ottoman to complement it giving you a place to put your feet up and relax. 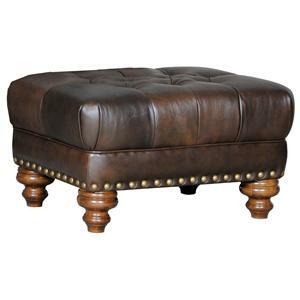 This petite, rectangular ottoman features a pillow top cushion with welt cording, nailhead detailing around the base and sits on exposed wood tapered feet. 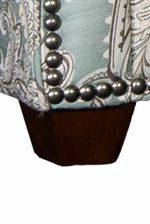 The 2325 Rectangular Ottoman w/ Nailhead Trim by Mayo at Olinde's Furniture in the Baton Rouge and Lafayette, Louisiana area. Product availability may vary. Contact us for the most current availability on this product. 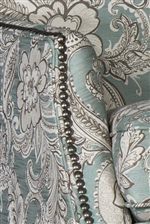 The 2325 collection is a great option if you are looking for furniture in the Baton Rouge and Lafayette, Louisiana area.